As we approach the halfway mark of the 2018-2019 school year we have much to be thankful for. 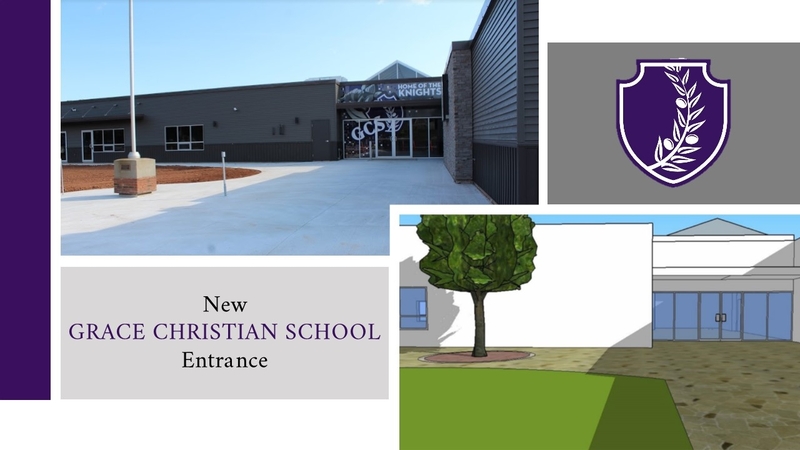 With the blessing of a beautiful new academic wing and renovated school facilities, modern collaborative learning spaces, single-grade learning studios, and access to innovative technologies Grace Christian School has been able to increase the quality and value of education provided to their students. The growth of Grace Christian School is solely credited to the work of the Lord who has placed a desire on the hearts of families from 17 different nations to partner with GCS. He has been faithful to provide a clear vision for the GCS of today and tomorrow and has equipped the more than 30 staff members to provide a quality Christ-centred education that is second to none. Over the past 5 years, the student body of Grace Christian School has grown tremendously, almost doubling in size to 230 students. It has been a blessing to see the children of GCS alumni returning to the classrooms, as well as welcoming new students whose families have migrated from across Canada to enjoy the benefits of small-city living on the East Coast. Additionally, we have seen significant growth in our ESL program which has not only allowed students from around the world the opportunity to quickly learn a new language, but has also expanded the global mindedness of every student. The growth of GCS has not just been in the number of students and staff, but also in its programs and services. Our innovative science and technology programs have allowed GCS to establish their place on the national and international stage as leaders in these disciplines, while our growing music and arts programs have displayed and celebrated the creative talents of our student body. With over 100 athletes participating in 17 different athletic programs, our growing athletics program has claimed 14 championship titles over the past 4 years. The accomplishments of those in the GCS community is a testament to their dedication to excellence in faith, virtue, and knowledge. From national teaching excellence recognition to international consultant work on Christian leadership and educational excellence in various disciplines, the staff of GCS have been provided with opportunities to serve educators around the globe. Our students have represented Prince Edward Island and Canada on the international stage and have acquired funding for various educational enhancements to our technology programs and services. Partnerships with our international community have lead to new and exciting partnerships on top of all this growth. As we look to the future, we know that God is faithful to finish the work He begins. We are thankful for the blessings he has showered on us, and for providing us with a mission field within our own community. With a high demand and a growing interest in Grace Christian School, we look to 2019 with anticipation for continue growth. Our Lord is faithful to provide!